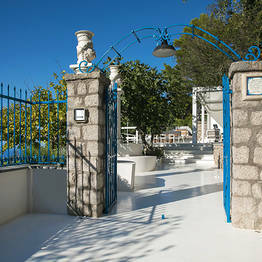 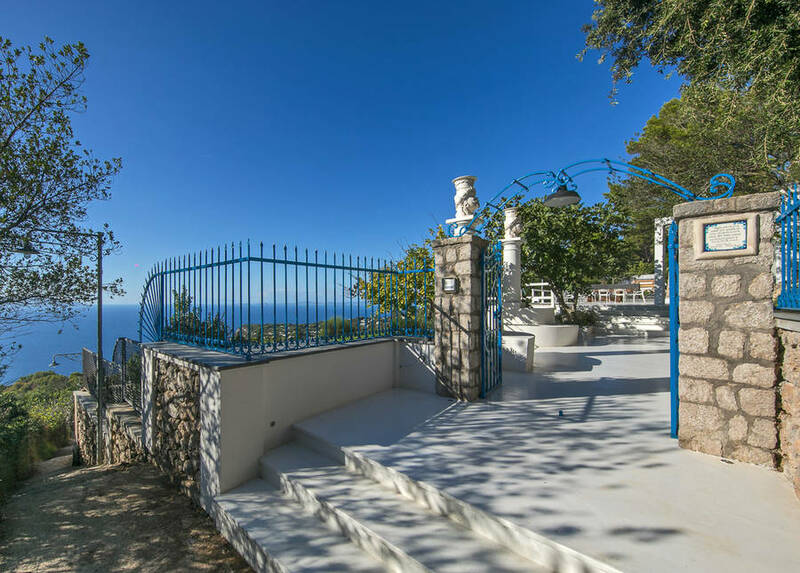 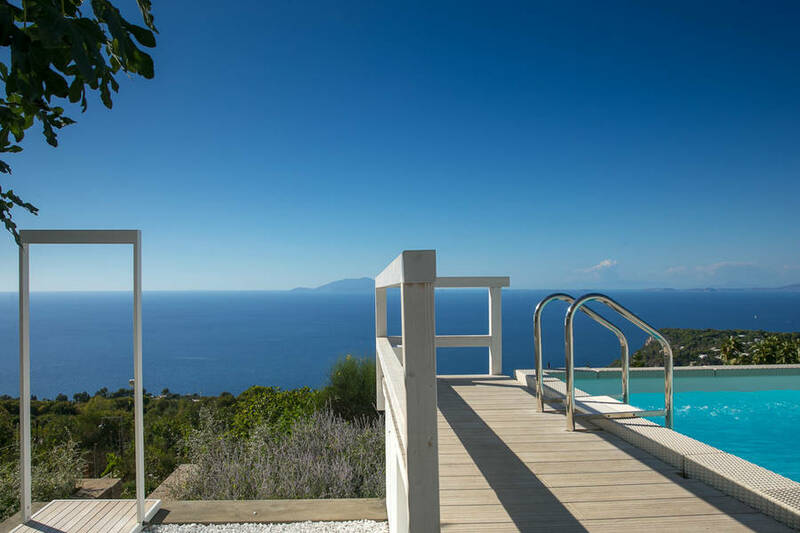 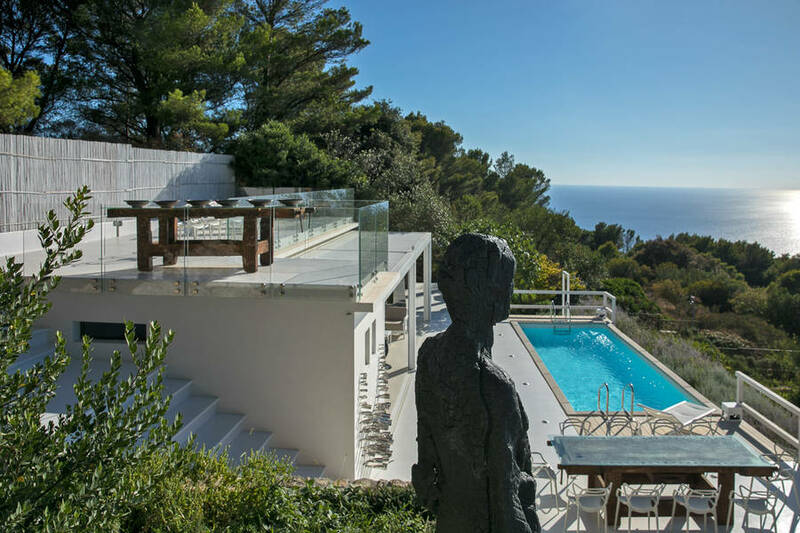 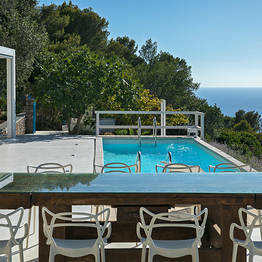 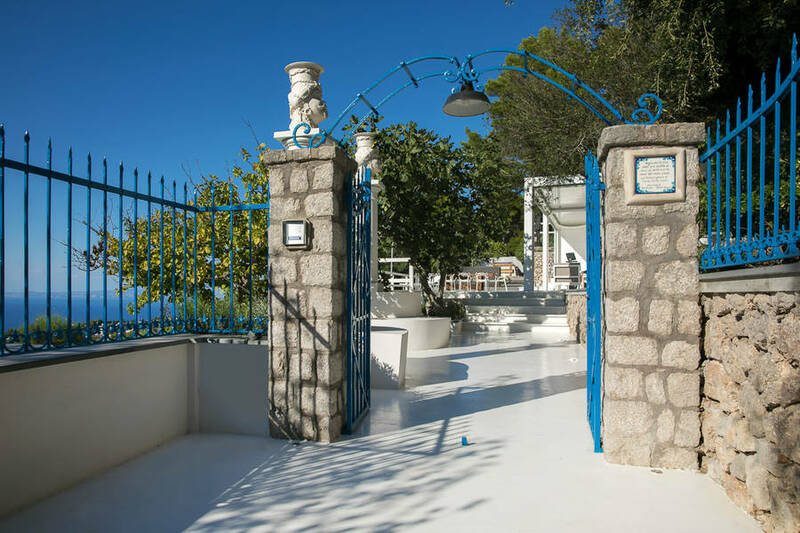 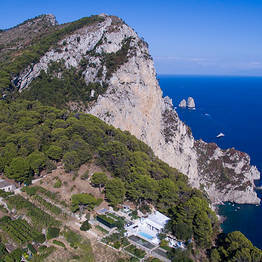 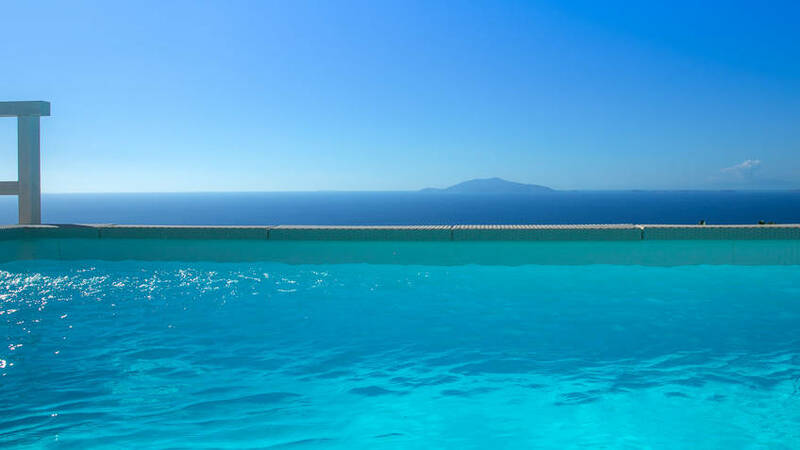 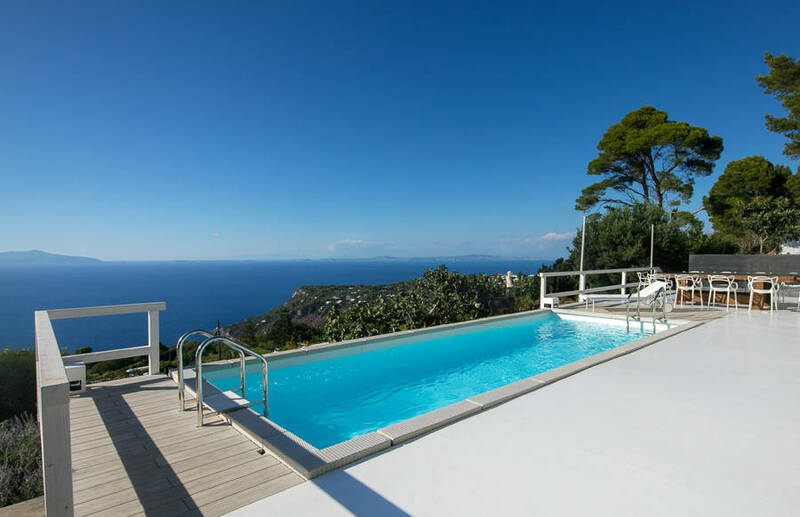 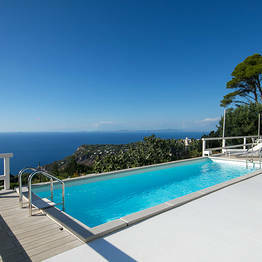 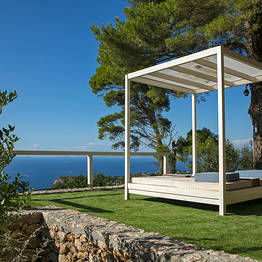 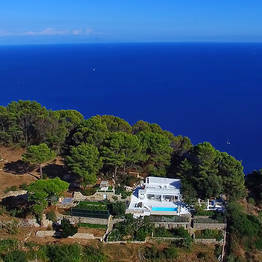 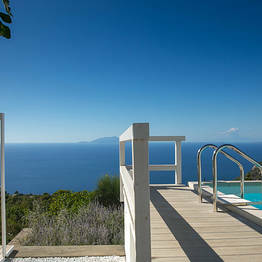 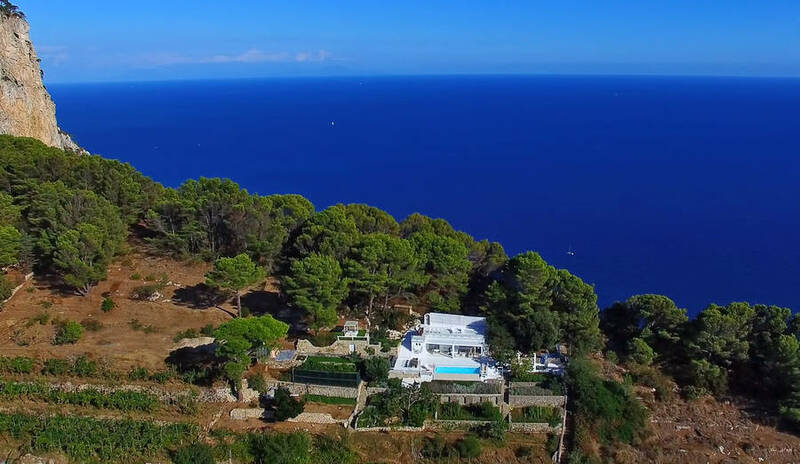 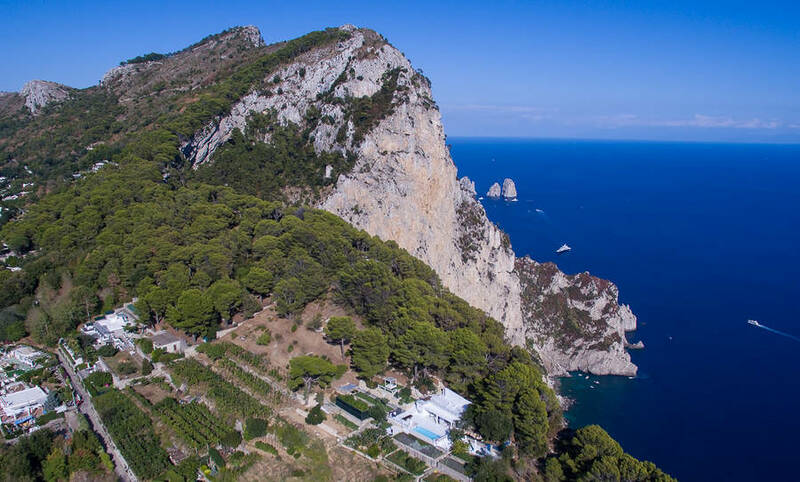 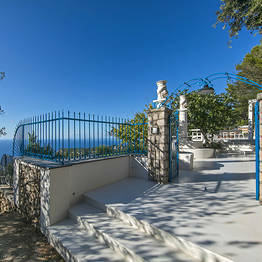 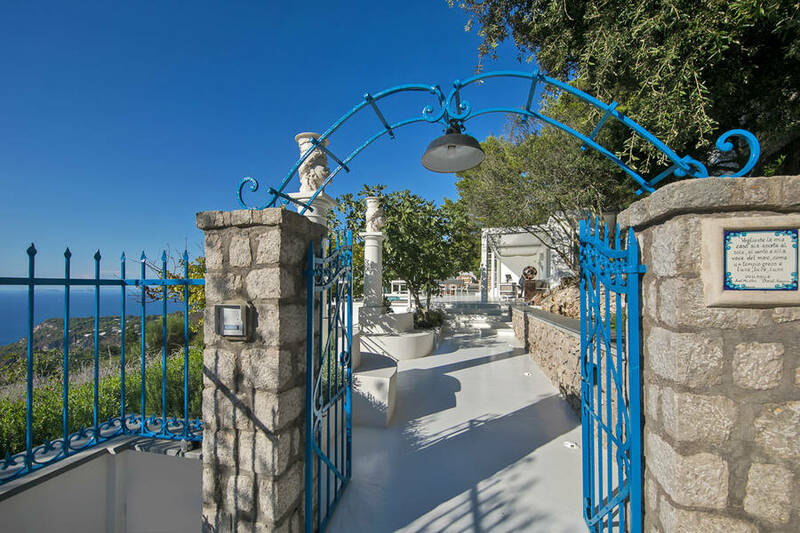 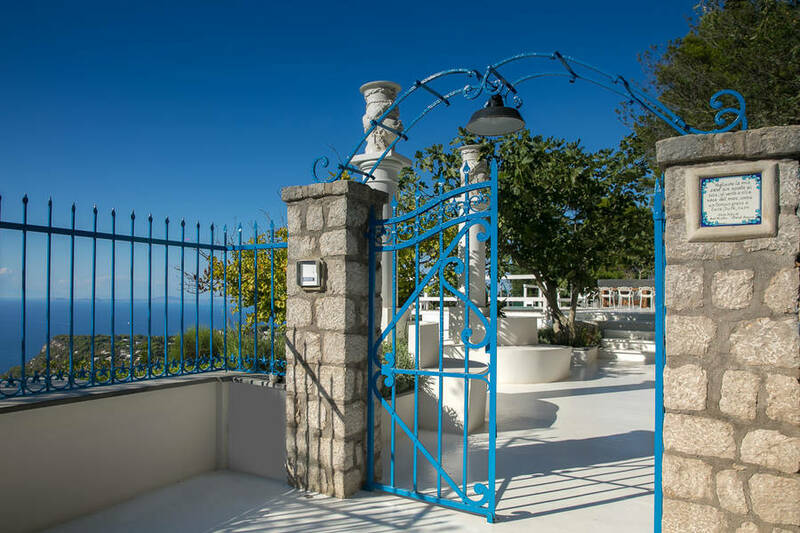 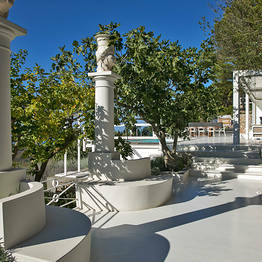 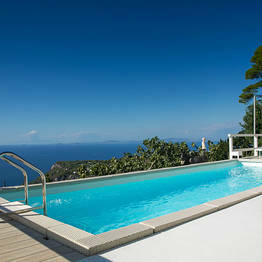 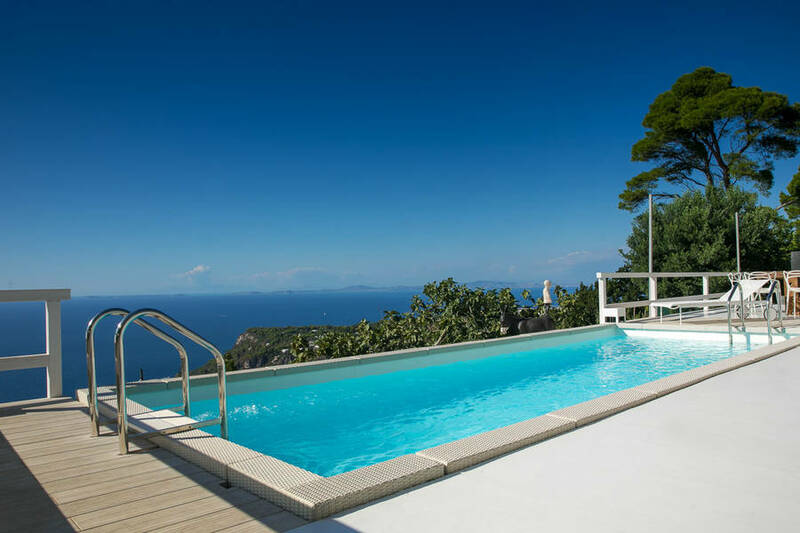 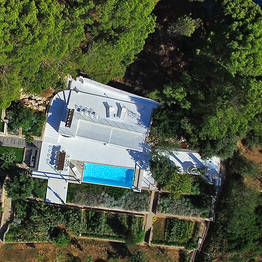 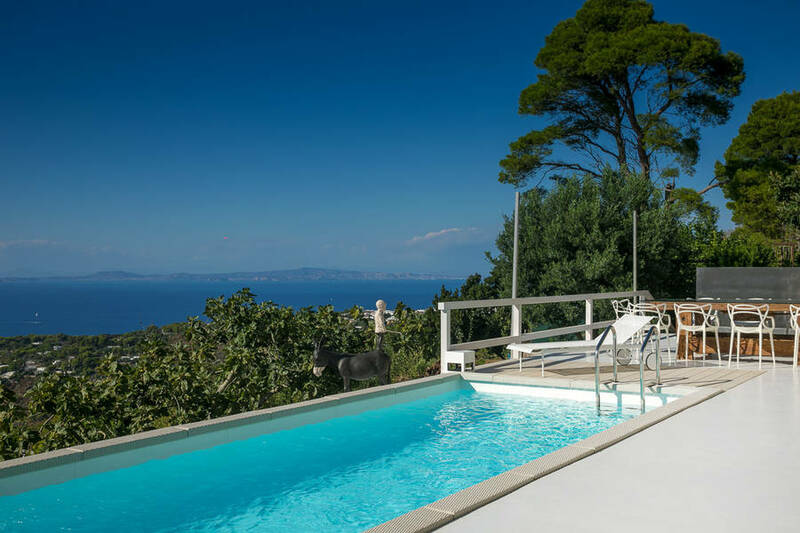 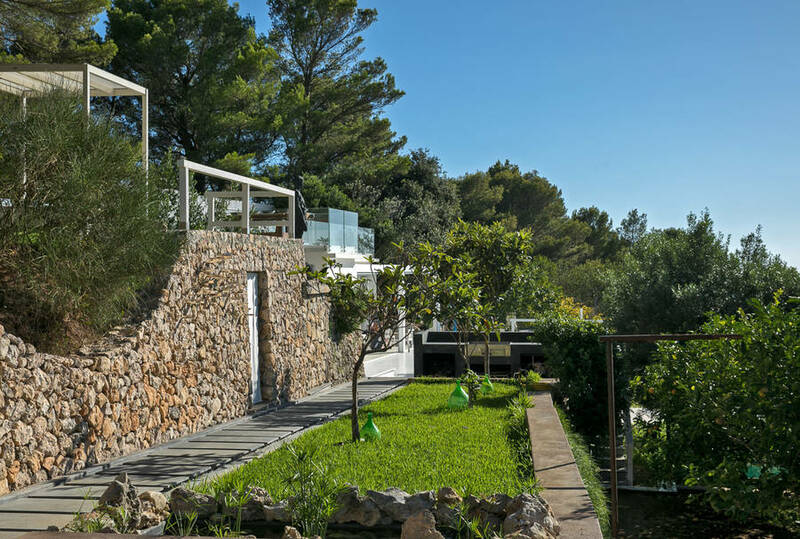 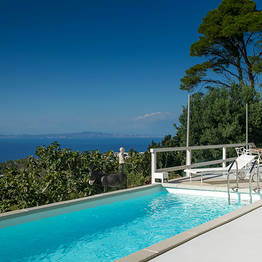 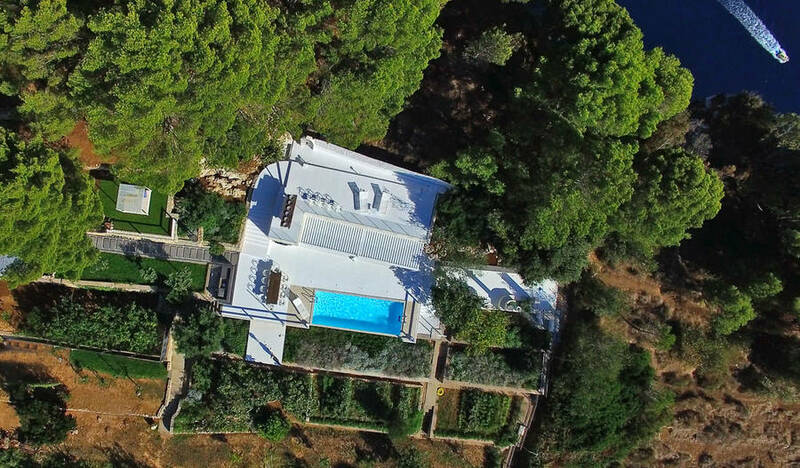 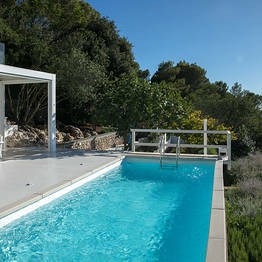 Chalet Azzurro Capri Capri: 3 reasons to book here | Capri Booking. 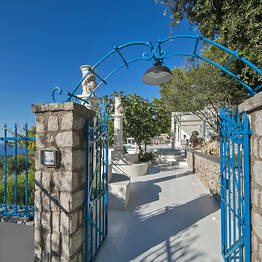 Is there any spot on Capri where you can get away from the crowds of tourists and the noise of the bustling nightlife and relax in utter silence? 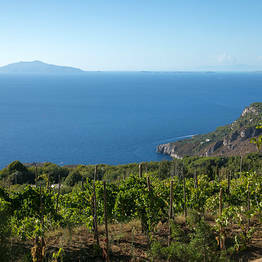 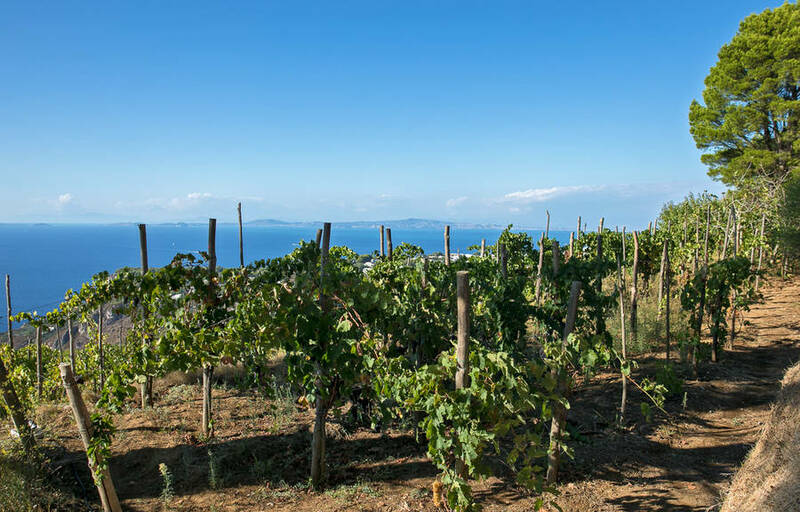 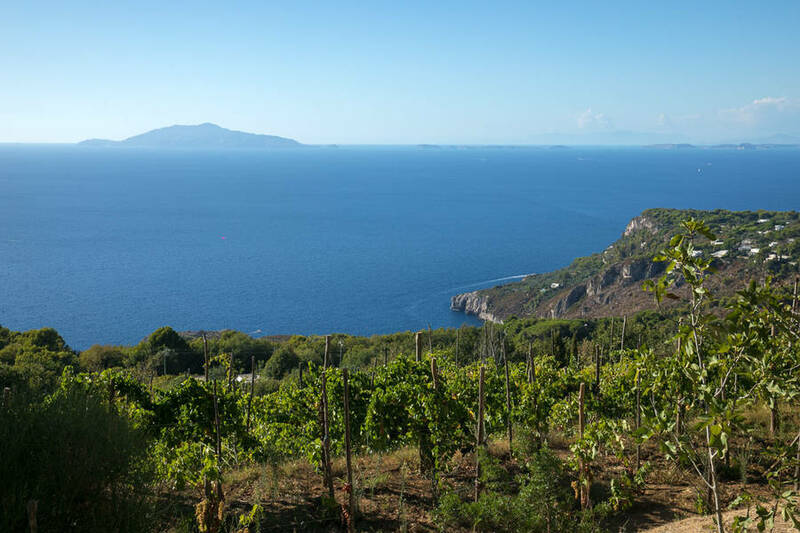 Yes: it's the Migliera, a bucolic area outside the town of Anacapri on the west side of the island where a narrow lane stretches between Mount Solaro and the vineyards that cover the hillside. 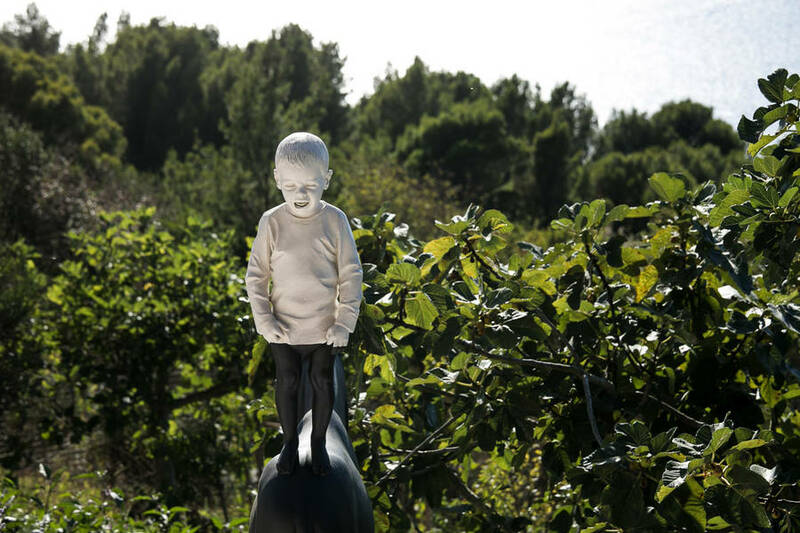 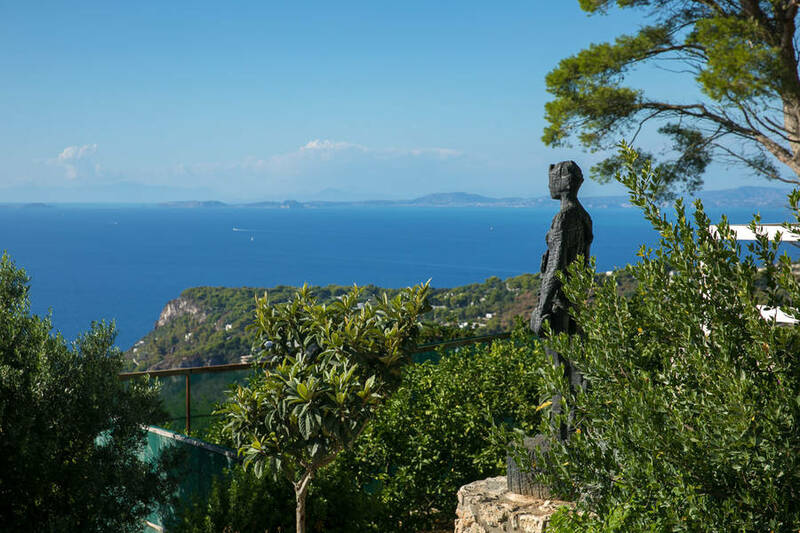 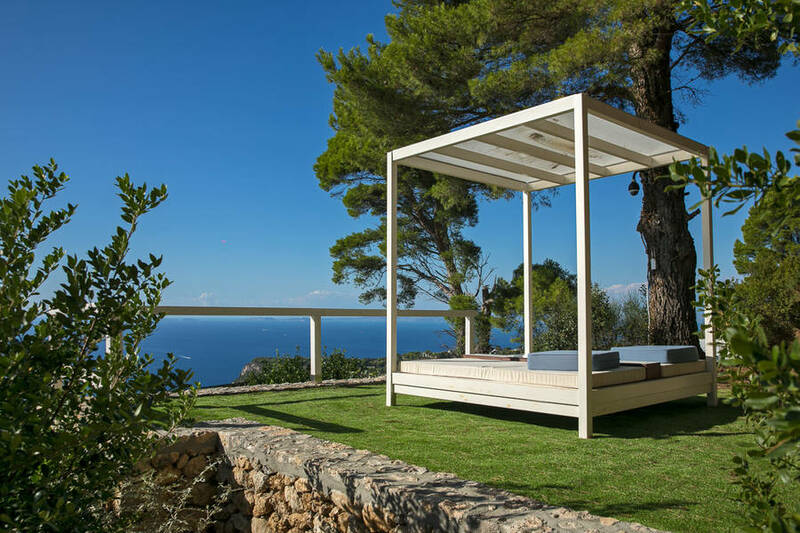 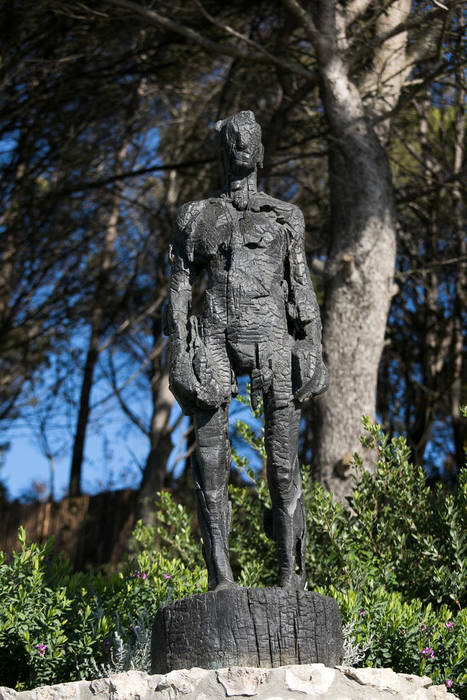 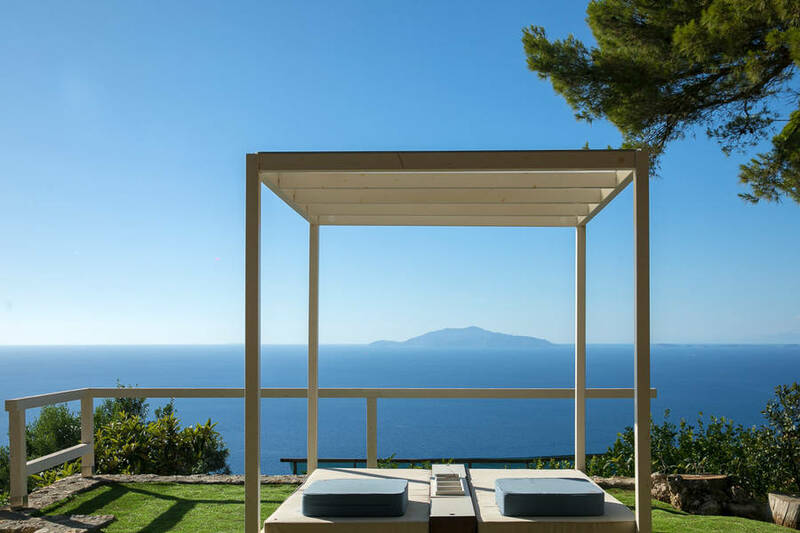 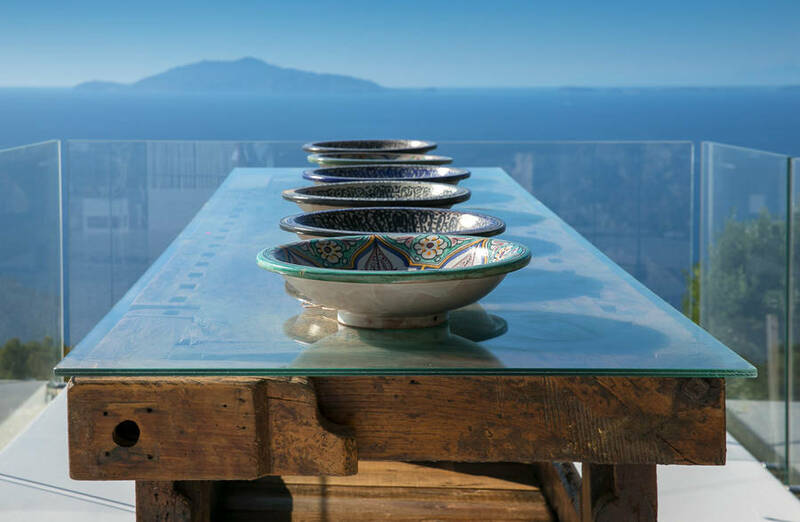 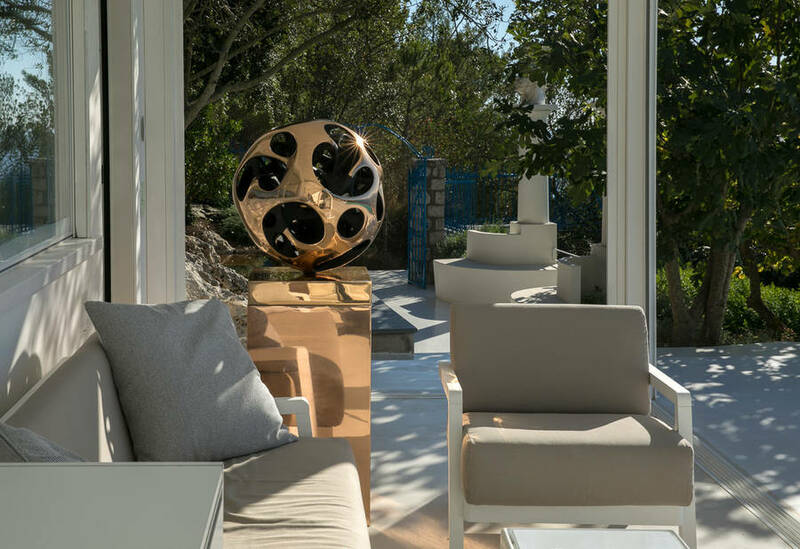 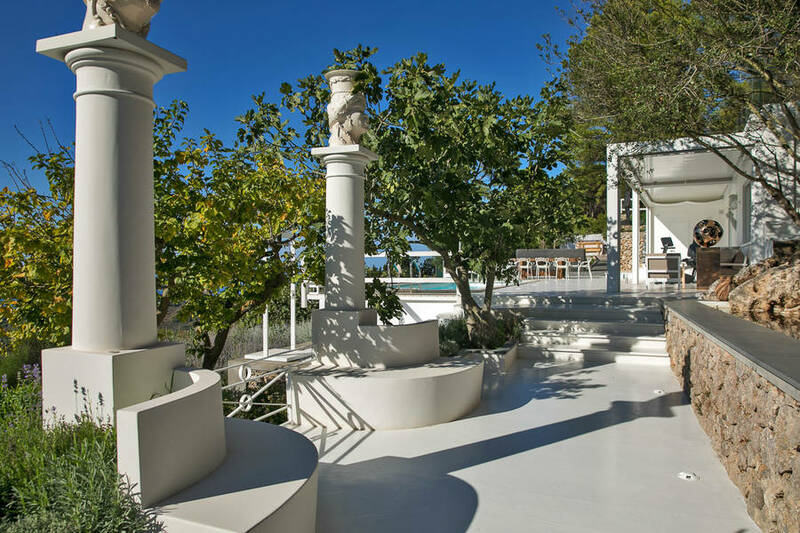 Tucked into the quiet paradise is Chalet Azzurro Capri, a stylish retreat dedicated to contemporary art and designed and furnished by one of the most important gallery owners on the island. 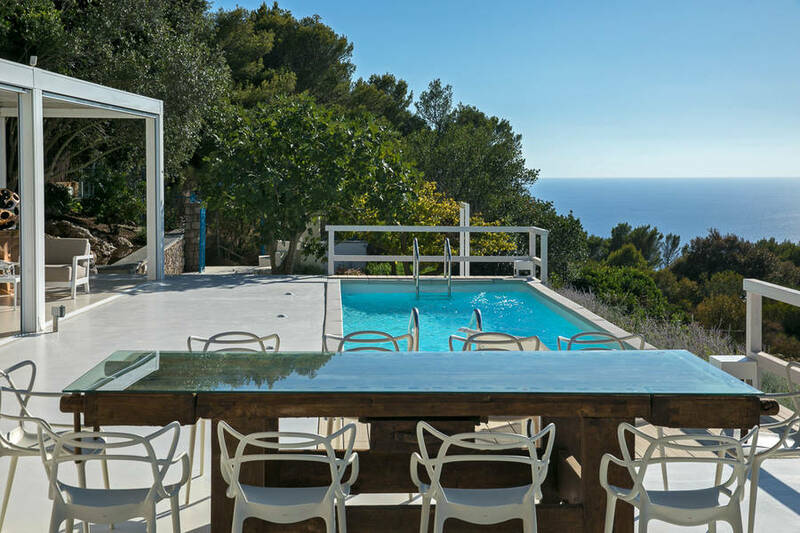 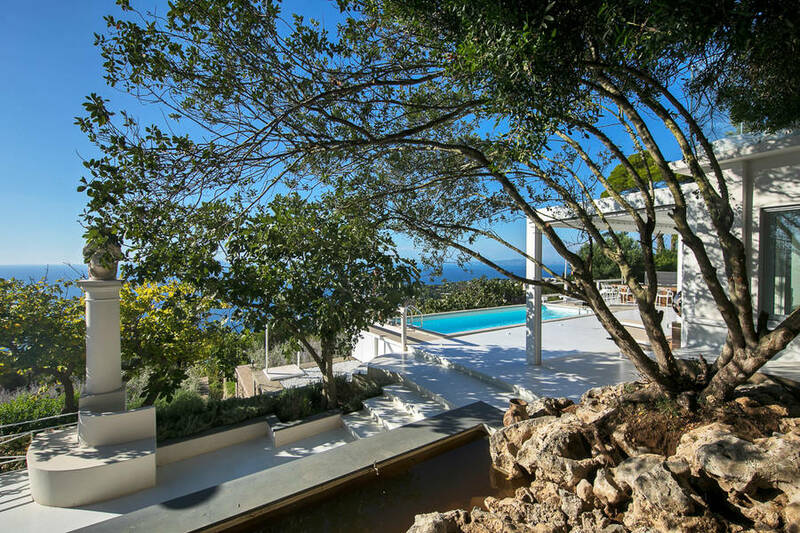 This exclusive villa is perfect for those who want to get away from the stress of daily life and in a private, modern space far from the chaos of this popular island. 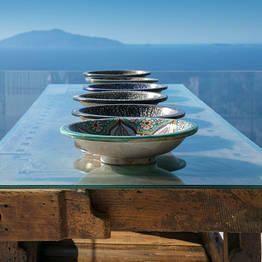 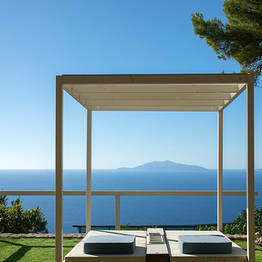 The large windows of Chalet Azzurro Capri frame breathtaking views over the Bay of Naples and the islands of Ischia and Procida, a panorama you can also drink in from the 200 square meters of outdoor terraces, garden with vineyard, pretty paths, pool with a designer shower, and canopied lounge area. 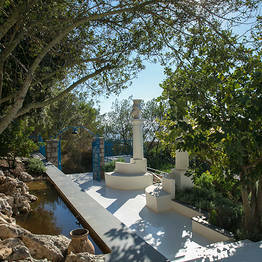 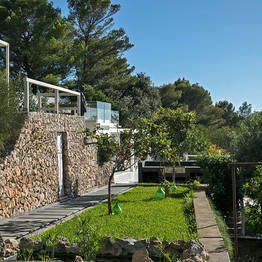 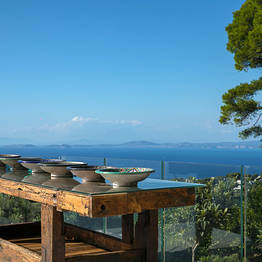 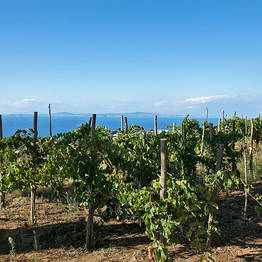 Guests can also explore the small vegetable garden and pick fresh produce and herbs for their meals. 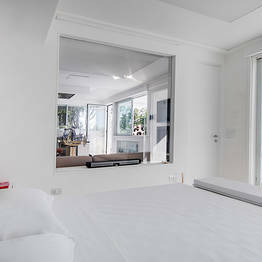 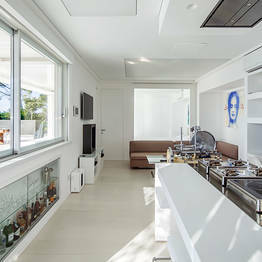 The interior includes master bedroom with ensuite bathroom and air conditioning, a kitchen, and an open-space living area with a sofa bed, satellite tv, computer, and wifi. 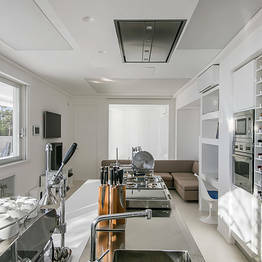 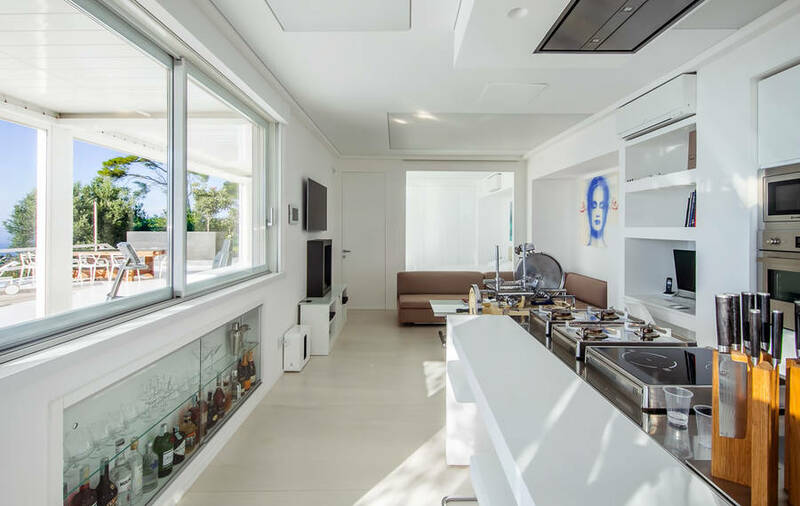 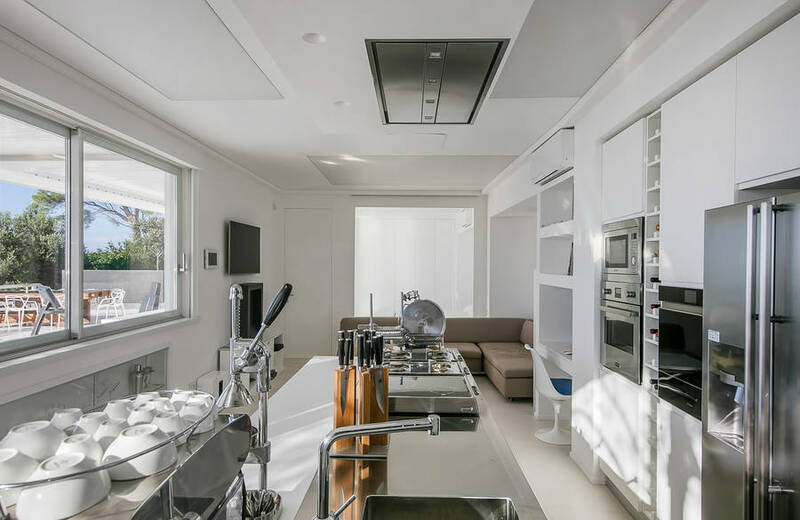 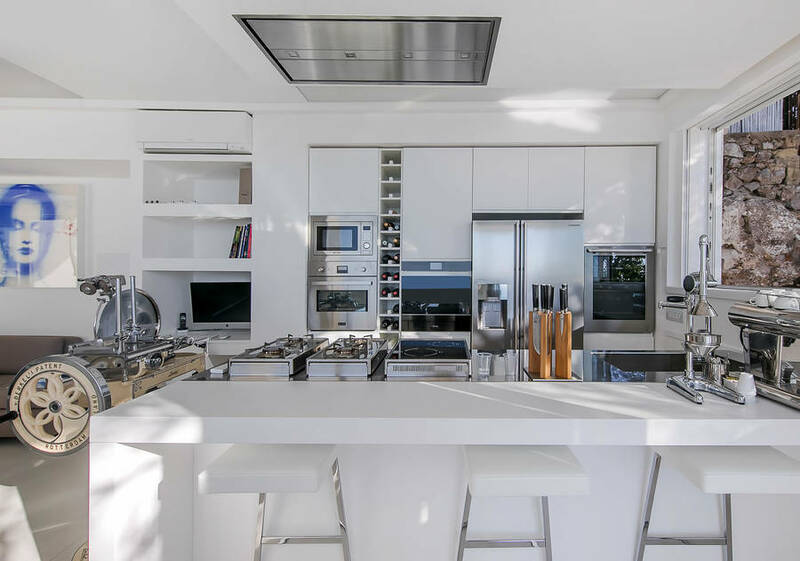 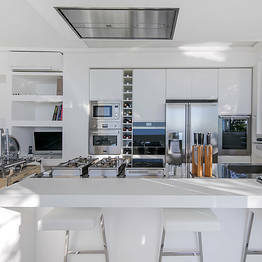 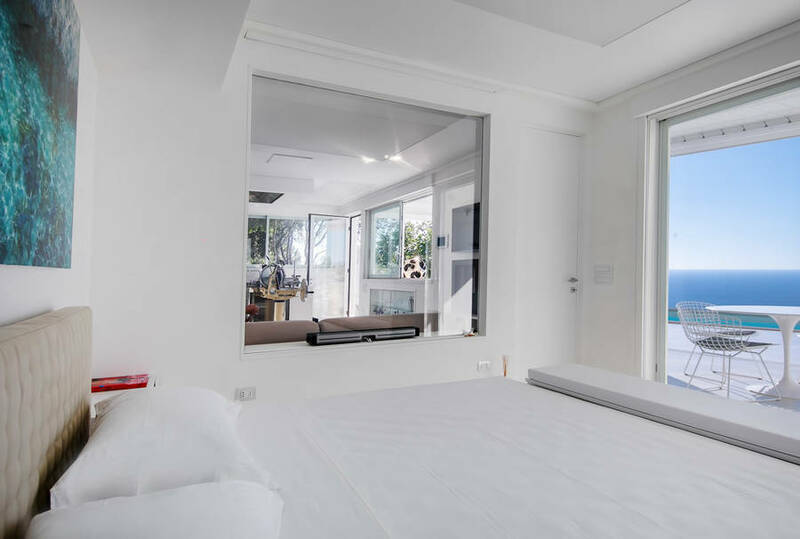 The kitchen is fully-equipped and perfect for the home gourmet; guests can prepare full meals to enjoy in the garden, poolside, or on the upper terrace overlooking the sea. 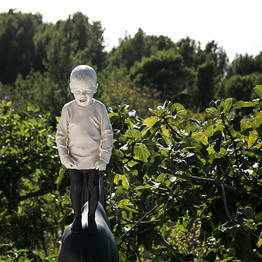 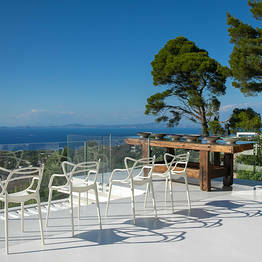 There is also a large barbecue and wooden garden furniture to eat al fresco. 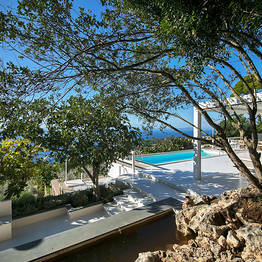 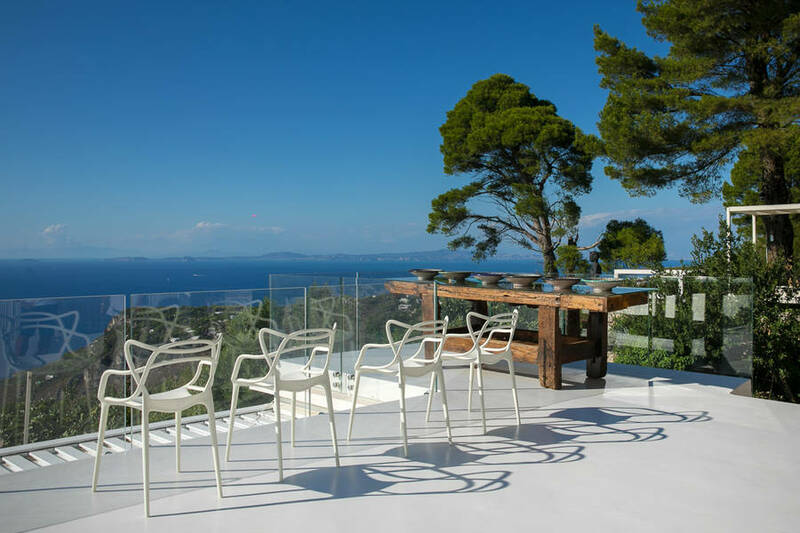 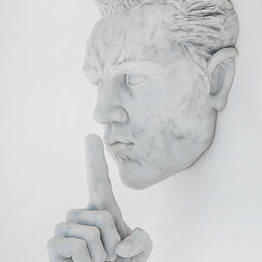 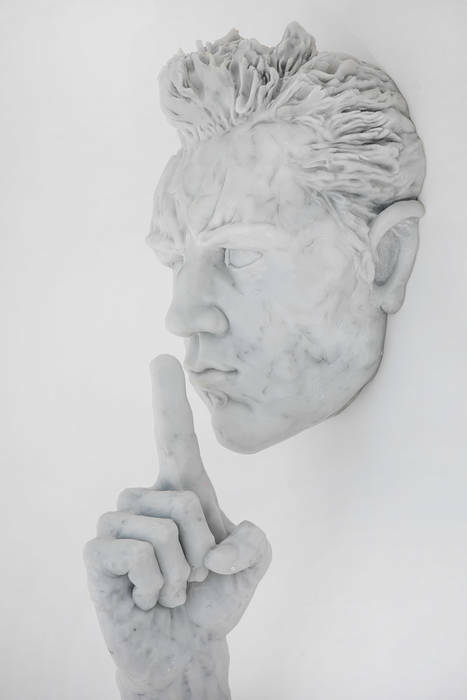 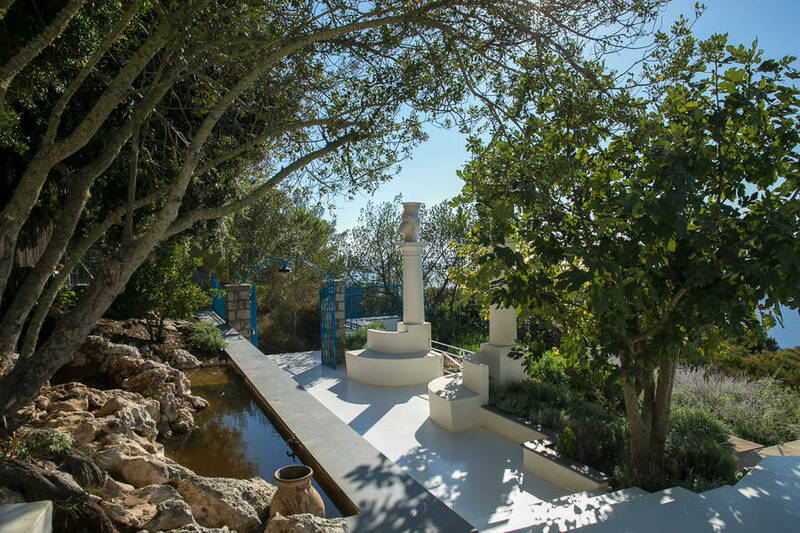 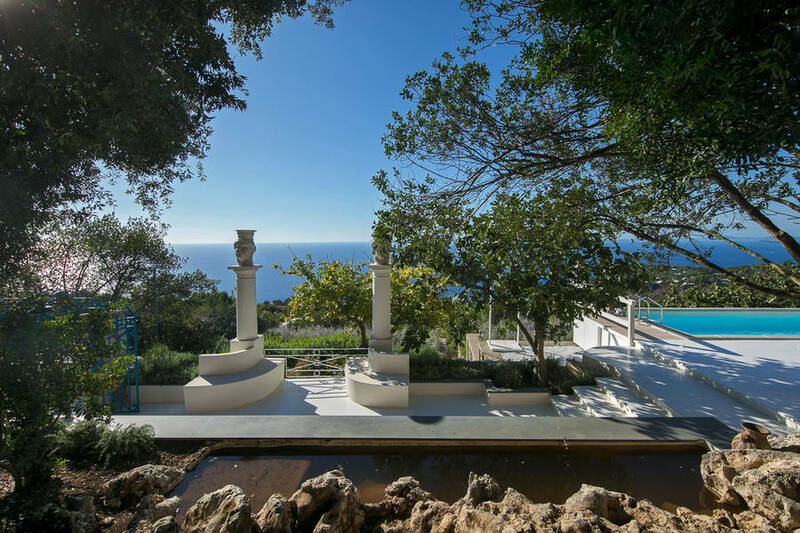 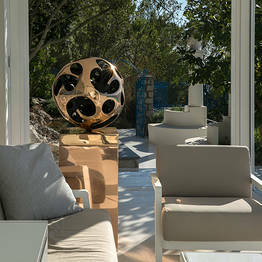 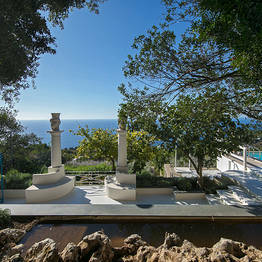 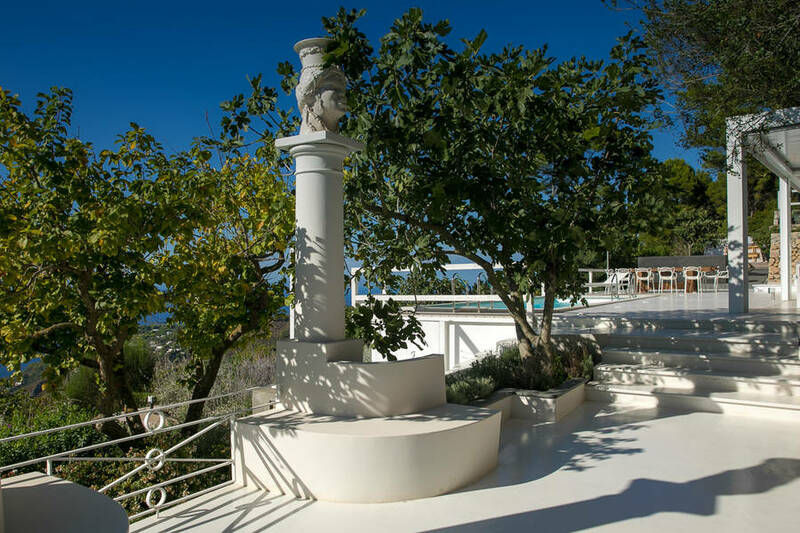 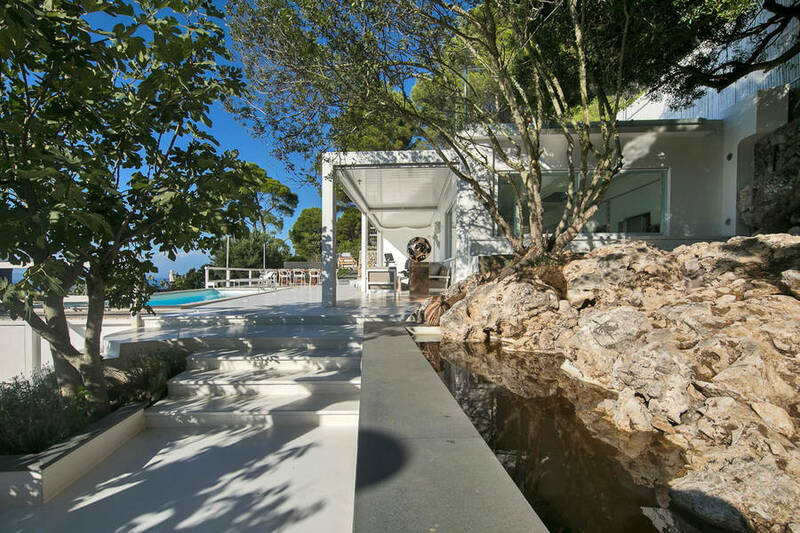 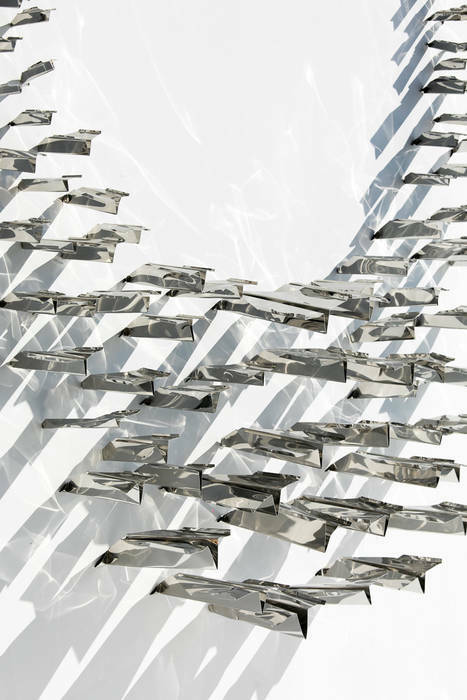 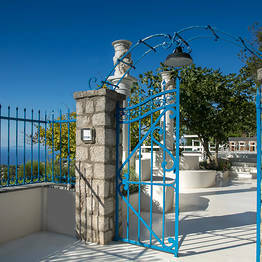 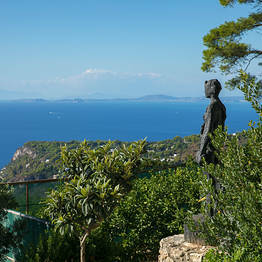 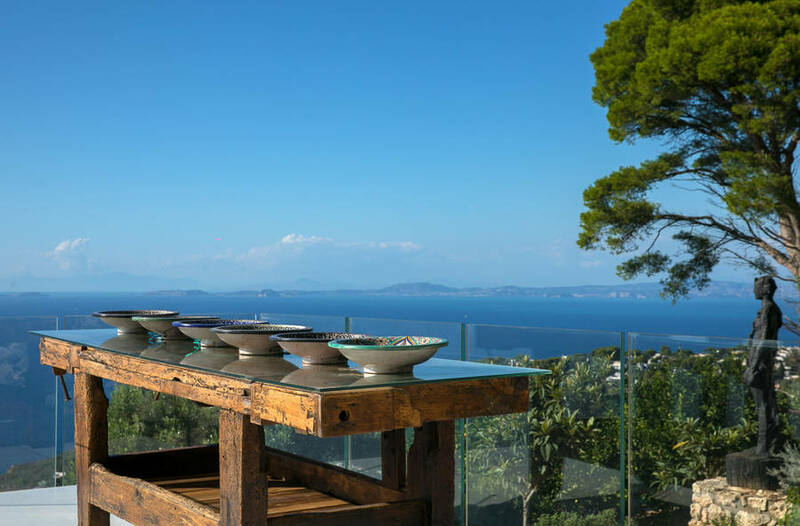 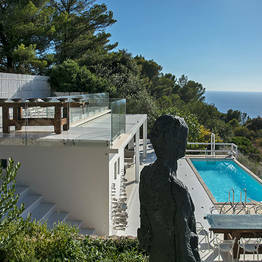 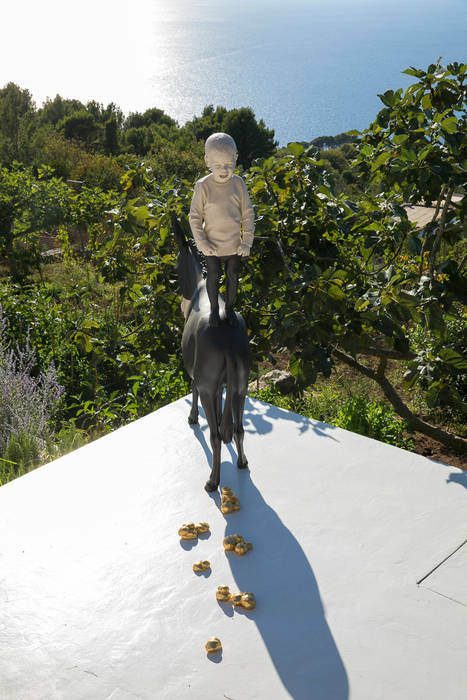 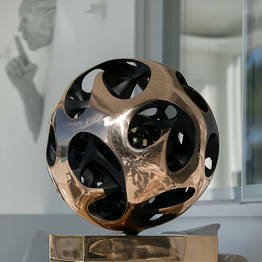 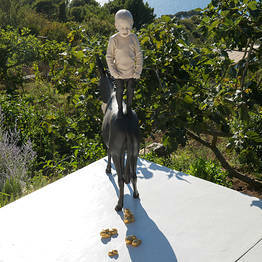 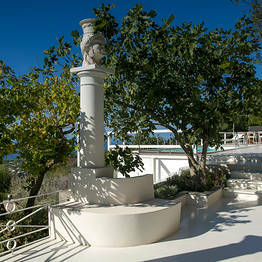 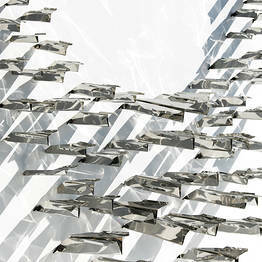 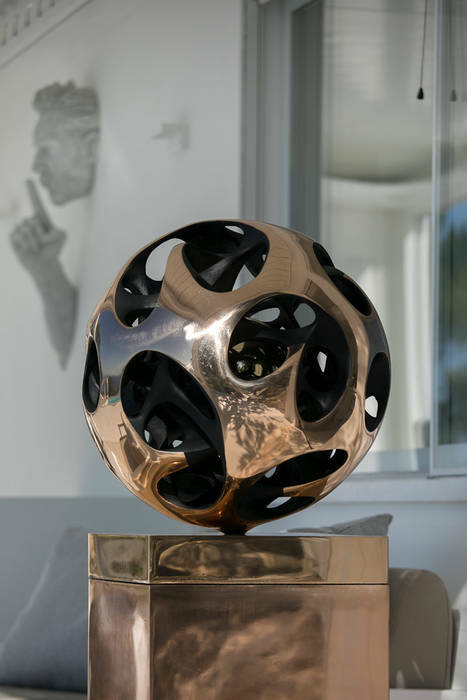 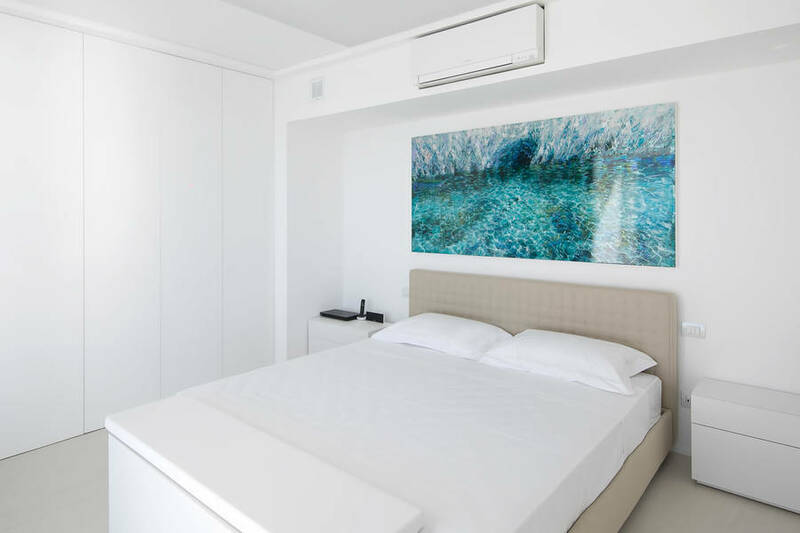 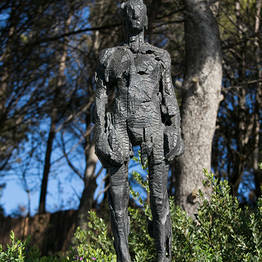 The Liquid Art System art gallery designed and manages this villa for travelers looking for a stylish, independent villa on Capri and to use as a space to show contemporary art on the island.